How to send Iberico & Serrano ham to Europe? Prices & shipping of the Spanish "Pata negra"
How to send a ham or a shoulder ham to Europe? Do not know where to buy online a Bellota ham to send to Europe? How could you buy Iberian ham from Europe? Where to buy Iberian Ham? How long does delivery take? How much cost a pack of products? 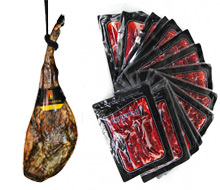 From anywhere in Europe you can buy Spanish ham and Spanish gourmet products in Jamonarium.com easily and quick. Door to door with guaranteed quality. Here you can find the main steps how to make the purchase. If you have questions contact us. - Visit our website where you will find a top menu where you'll find all proposed products from our online store. - Visit each of the products you are interested in, select the weight and add to cart. - When you have all your products added, go to "My Cart" and fill in the details for shipping. - Select your preferred carrier. Check prices of transport. - Select the payment method that suits you. - Confirm the order and executes the payment (card, paypal or bank transfer). Once we receive your payment we will send an email to your email address. - After preparing your order we will send it to the given address in Europe. - One day after shipping we will provide a tracking code so you know where your package is at any time. - In a few days you will receive your package to your address. Check delivery time to Europe. - If you are not at home when the carrier arrives, he or she will contact you to arrange the delivery or inform you where the parcel is to pick it up (in their offices). If you want to send hams and gourmet products to Europe from another part of the world, you should follow the steps above. The only difference is that if you put your email in the order, you will receive our order tracking communications by email. We will inform you by email when your order has been shipped and when it has been delivered. If your delivery address is national (peninsula), your order will arrive within 24 or 48 hours. That is, if you order before 12h, you can receive your order the next day, or after 48 hours once it leaves our warehouse. If you head to one of the islands, or any other European country, the shipping can take between 2 and 7 days, depending on the area you live in Europe. For example, shipments to countries like France or Germany can take between 2 and 4 days, while shipments to Greece and Croatia may take 4 to 7 days. We must take into account it is always on working days. How much does it cost to send a ham to anywhere in Europe? Shipping to any country in the European Union is variable in time and price depending on the country to which it is addressed and the weight. 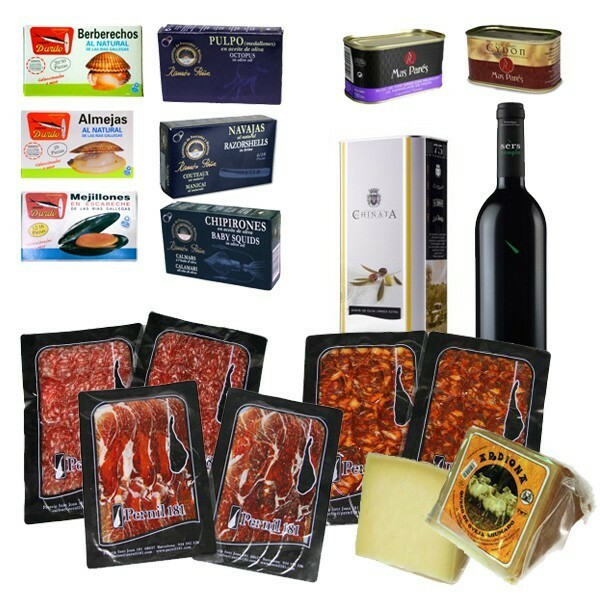 How much does it cost to send a gift pack consisting of Iberian and delicatessen products? If you want to send a pack of several and different products, such as ham, chorizo, cured sausage, canned or gourmet products, the shipping price depends on the region to which you want to ship it. Whatever your choice, price and delivery time depends on the country of destination and weight of the product, either cheese, ham or any other of our products. How do I know the transport of my order is safe? We ensure the transport of your purchase with the major national and international companies (UPS, Zeleris, TNT...) to ensure service delivery with the best quality. Also, once your order leaves our facilities, we will provide you the online tracking so you can know how and where it is at anytime. What do I need to export my ham? Do I have any restrictions when exporting products gourmet? No need any additional documentation to buy and send your ham or gourmet products from European countries. 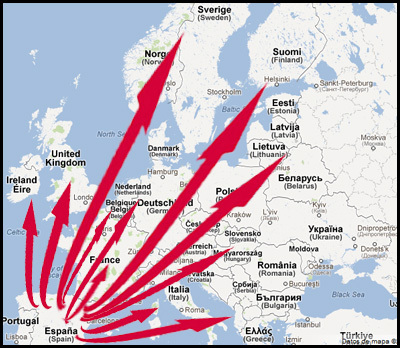 We are a member of the European Community, so that exporting is easy and accessible. If you have intra number and want to benefit of the products excluding taxes, let us know. Door to door, you buy and we will deliver it at your home. Nothing is better than trust to buy an iberico or serrano Spanish ham. 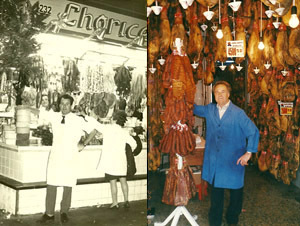 We have 30 years of experience in comercializing Spanish ham in Barcelona and Spain. From our shop opened in 1988 we have the trust of our clients for over 25 years. Now we ship our best products to all Europe so you can get them direcly to your home. We think top quality products and close client service is our best value. We have a strong tema of people who work toguether in one direction to have your orders ready to ship everywhere in Europe as soon as we can. Don't hesitate to contact us for any question about the shipping process or the products we recommend. Whether you are far from Spain or if you want to send Iberian and gourmet products to family or friends, in our online store you can find a fine variety with the best quality. An easy way to leave no home without a corresponding Iberian that transport a little closer to the world of this fantastic taste. Send hams, shoulders Iberian, serranos, Bellota and Spanish gourmet delicatessen products to Germany, Austria, Belgium, Bulgaria, Denmark, Estonia, Finland, France (Metropolitan), France (Corsica), Greece, Holland, Hungary, Ireland, Italy (mainland), Italy (Sicily and Sardinia), Latvia, Lithuania , Luxembourg, Poland, UK, Czech Republic, Slovak Republic, Romania, Sweden, Sicily, Scotland, Wales, Paris, Berlin, London, Rome, Milan, Madrid, Lisbon, Porto, Prague, Edinburgh, Dublin, Vienna, Athens, Budapest, Bucharest, Amsterdam, Brussels, Frankfurt, Munich, Barcelona, Bilbao, Valencia, Coruña, San Sebastian, Pamplona, Girona, Lleida, Tarragona, Castellón, Pontevedra, Oviedo, etc.